Star-Ting Incorporated (STI) is a management consulting firm where we specialize in qualitative analytics. Corporations no longer need to rely on best-guess or consensus as in traditional analytics for cost engineering, director’s and officer’s liability, emergency/disaster management, health and safety, intellectual services, professional audit support, regulatory consulting, or risk mitigation services. Instead, we “quantify qualitative™” data utilizing advanced operations and statistical measures. Our clients gain accurate, consistent and science-based, top-line information. Our results involve controlling the costs of a project, help ensure compliance is maintained, enhance the flow of information from the supplier to the customer, emergency preparedness and response, verification of a company’s risk management program or validation of client initiated disclosures. 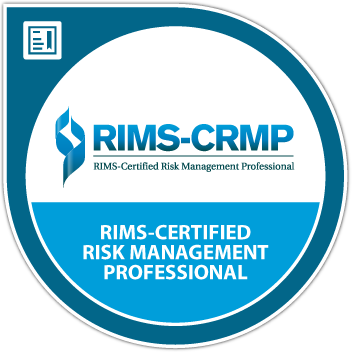 Recognized by the Risk and Insurance Management Society (RIMS). Compliant with ISO 31000:2018 and Canadian Oil and Gas Handbook (COGEH). Recognized with NRC-IRAP Management Advisory Services (MAS) for CMC-Canada. OUR PROCESS IS THE FIRST TO INTEGRATE QUANITIFIED QUALITATIVE DATA INTO ANALYTICS. We call our science-based Intelligent Decision Support Platform, RESP-ROI®. Our process returns significant statistical information from quantified qualitative datasets which are used for issue identification, classification, analyses, management, monitoring, mitigation and delivery in a final intelligence report. We know your time and resources are valuable. We provide a very structured program. Our process is not client labour intensive. Our proprietary process analyzes, compares and critically evaluates client provided data in a straight forward, meaningful and repeatable manner. We complete our service with an in-depth report pertinent to your needs for real-world solutions in one of the service lines below. Star-Ting Incorporated is first to develop a model to quantify qualitative data for Responsible Risk Management®. I have looked at their method and am convinced it is real and innovative as well as statistically correct. ~George Rhodey, Executive Director, Rhodey & Associates Inc.
We help identify vulnerabilities in published documents or other narratives that can significantly reduce governance exposures. Risk events affect the timely production, transportation, storage or other disruptive elements impacting the strategic planning and execution of operational or project-level activities. Don’t let these risks control you.